As my knowledge of various types of culinary cuisines increase, I’m starting to realize that there is a lot that I don’t know. One example is the difference between traditional Mexican food and Tex-Mex. While Tex-Mex is a blend of Mexican, American and Spanish with popular dishes like beef fajitas and nachos (in addition to its yellow cheese and black beans), more “authentic” Mexican food uses corn tortillas, refried beans, white cheeses, fresh vegetables, seafood and other non-beef proteins. 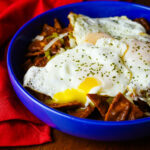 Today I bring to you my version of a Mexican breakfast favorite called Mexican Chilaquiles. 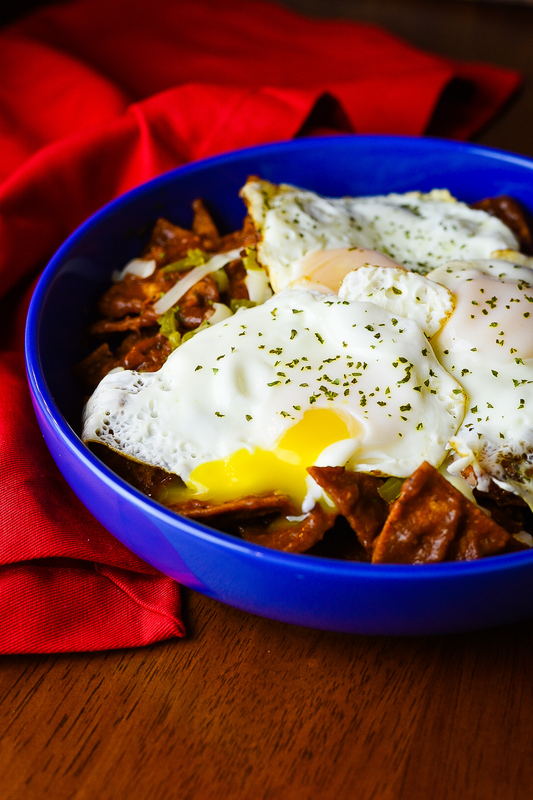 This dish basically consists of crispy corn tortillas (sets the foundation for its amazing texture) along with a mixture of tomato (red) sauce and fried eggs. I personally enjoy my red sauce on the thicker side, but if you prefer your sauce to be thinner (think salsa) you can add more chicken broth to thin it out. If you are an egg lover you will really enjoy how the yoke from the fried egg mixed with the red sauce brings this all together. 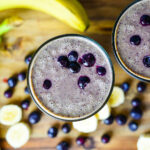 This is a very simple recipe but it is one that anyone can enjoy any time of the day. 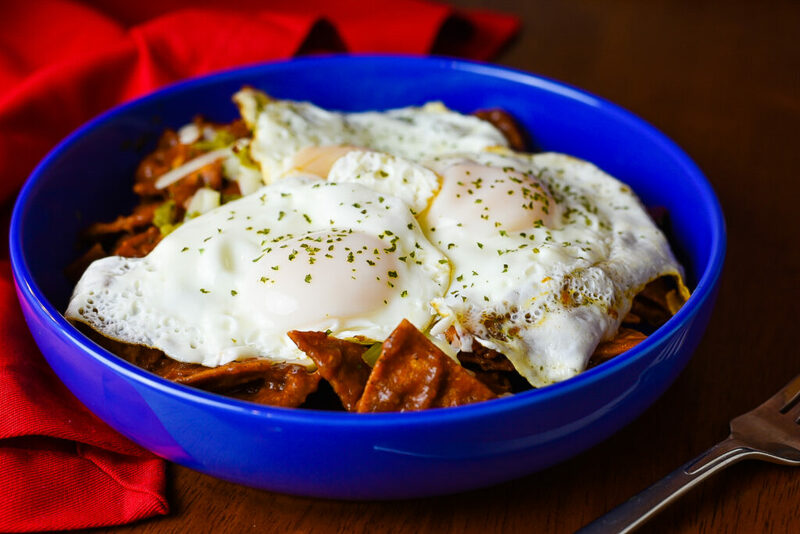 If you love Mexican food and want to enjoy a really good traditional Mexican breakfast give these Mexican Chilaquiles a try you will not be disappointed. 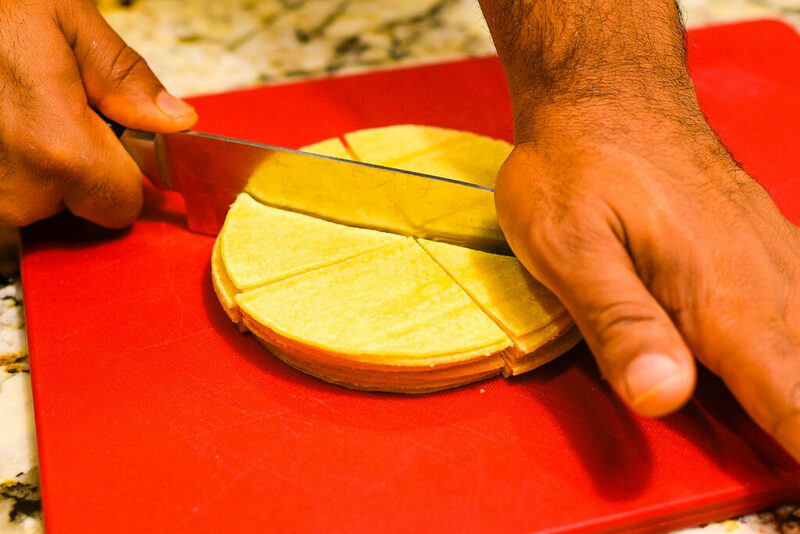 Begin by stacking the soft tortilla shells and cut them into 8 parts like a pizza. Pre-heat oven to 350 degrees and cook the tortilla shells for 15 minutes then set to the side. Pre-heat cooking pot to low/medium heat and add olive oil. Add All Purpose Flour, Minced Garlic, Chili Powder, Paprika, Ground Cumin, Garlic Powder, Black Pepper, Sea Salt, Mild Taco Bell Sauce, Minced Jalapeno and Tomato Sauce then stir until blended. 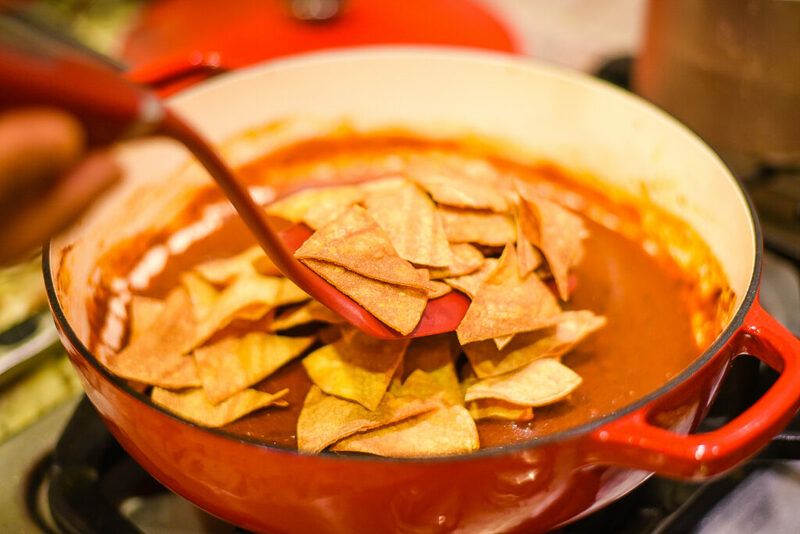 Add cooked tortilla chips to sauce and stir together on low heat. Pre-heat a separate cooking pan to medium heat and add 1 tsp of butter. 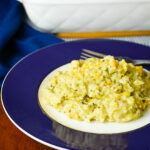 Add unscrambled egg to pan and cook covered for 2 to 3 minutes until the top of the yoke has a slight white coat. Add mixed chips from sauce into a bowl and add cheese. Top off with fried eggs. Serve hot.